The Italian grape variety known as Primitivo is thought to have originated in Greece and ended up, for the most part, in Puglia on Italy's south-east coast. It's said to be, after the DNA tests were completed, very similar to Croatia's Crljenak Ka�telanski. And it's similar to California's Zinfandel. Some reports indicate it may have originated in the Caucasus in Eurasia some 8000 vintages ago, though I'm unsure of who's keeping track and what were the best years for it back then. The Primitivo grape is said to have gotten its name due to the precocious nature of the grapes: they're said to ripen fairly early. Zinfandel is known to ripen later, so we're told, and it's said to ripen unevenly. 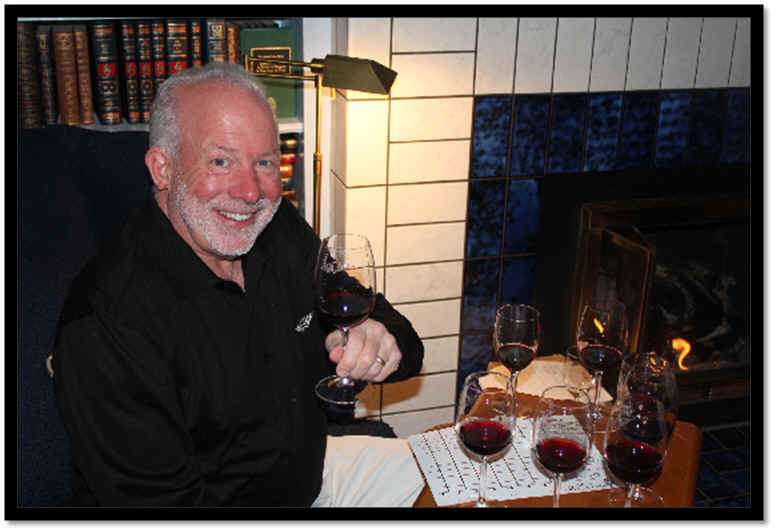 January's tasting host, John McGlothlin, was interested to assemble a set of wines featuring a number of Italian selections alongside some California wines. 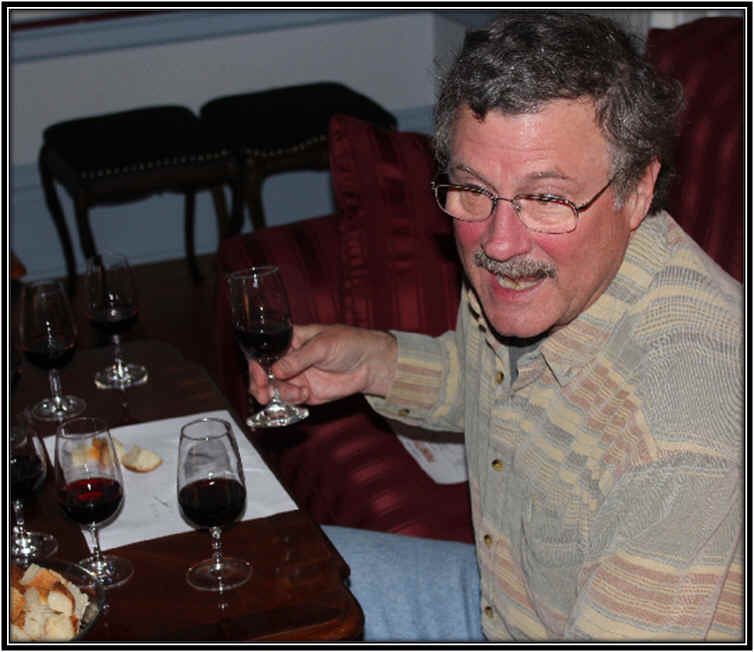 He'd tasted a good Primitivo at the Ridge tasting room in was interested to include it in a line-up alongside the Ridge "Lytton Springs" (Zinfandel) bottling. We put together a set of wines, ranging in price from $8 entry-level Primitivo to a $40 Old Vines bottling from Puglia. 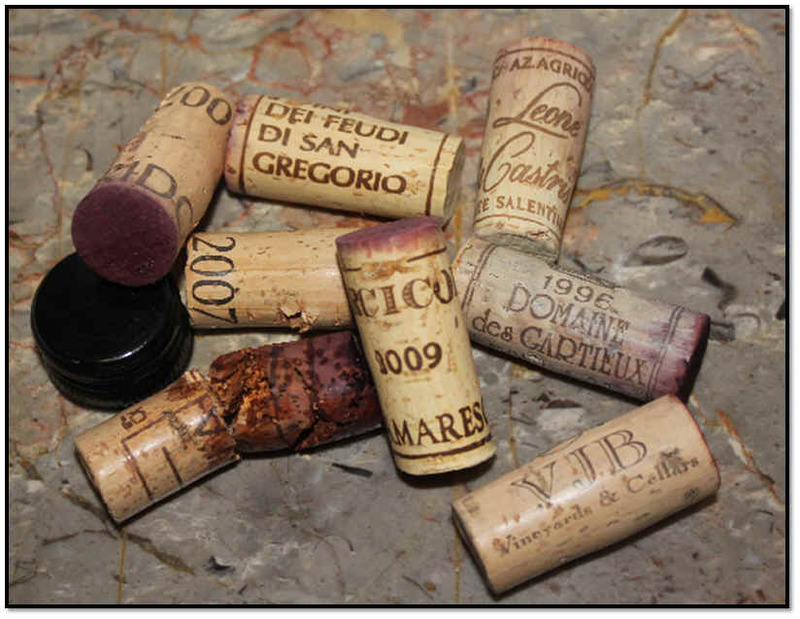 Those labeled "Primitivo di Manduria" carry a bit more nobility in the hierarchy of Italian Primitivo wines. This brand seems to be more "marketing driven" than winemaking driven. It's got an easy-to-pronounce name, a simple label that's easy to recognize an a modest price tag making it accessible to many consumers. 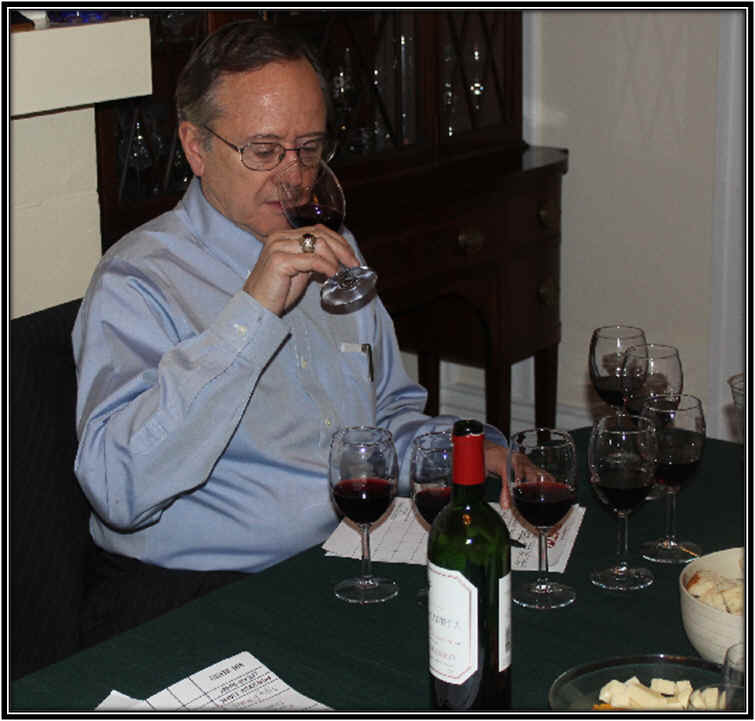 The wine has a medium-light ruby color and was clear in appearance as were all the wines in this flight. The aromas show light red berry fruit notes, a hint of a minty tone and some woodsy scents. I thought this was very low in acidity and perhaps had a touch of sweetness. In fact, apart from the slight bit of sugar, there's not much flavor and nothing particularly compelling. I ranked it last and gave it no stars on my three star scale, signifying an ordinary bottle as best. Clear in appearance and medium- ruby in color, this wine seemed to be a bit potent in terms of alcohol on the nose, but it didn't display much in the way of fruit. Perhaps this was simply a bit shy and closed on this occasion or maybe there's not much there? It's dry and medium-bodied. The flavors are berryish and ripe with a bit more intensity on the palate than we found on the nose. If the nose opens up, this will be a nice bottle. I gave it a one star rating at this stage, though it's not a wine for significant cellaring. Medium-deep ruby in color and clear in appearance, the aromatics of this wine are interesting. There's a hint of tomato leaf and oregano sorts of fragrances with a ripe fruit aspect which seemed to offer cocoa notes after it had been open for a while. I marked this down for not being dry...it was soft, a bit flat and seeming a bit sweet. 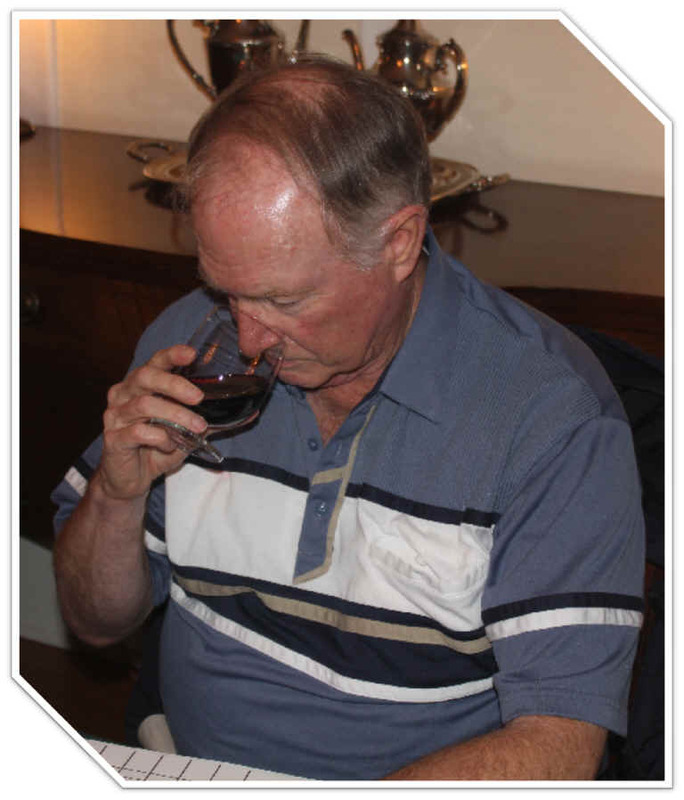 Medium bodied, the flavors were more along the lines of chocolate and cocoa and this candy-like character was not to my taste as a wine for the dinner table. No stars. Sorry...I'll bet fans of Rombauer Zin would like this, however. Clear in appearance and medium ruby in color, this wine seemed to display a mildly resiny fragrance which came off with a pine-like tone with some red berry fruit underneath. It's dry and medium-full on the palate. The flavors show some woodsy notes and it's a big, ripe, nearly jammy red wine. One star. 4th Place: TORMARESCA 2009 PRIMITIVO Salento, IGT "Torcicoda"
Deep ruby in color, this is quite clear in appearance. The aromas show lots of ripe fruit and jammy aromas. It's a bit raspberryish, veering off to raspberry preserves on the nose. The wine is dry and decently acidic. It's medium bodied to full-bodied on the palate. This seems to have lots of muscle and mild tannins, being even a bit tight at this stage. I gave it one-and-a-half stars and it might move up a notch with additional time in the bottle. Deep ruby in color and clear in appearance, this wine showed nice ripe black fruits with a plum sort of character on the nose. It's woodsy and has a lightly oaky fragrance. Medium+ in terms of body and dry, the flavors echo the elements found on the nose: big, plummy, ripe, tannic, mildly astringent and even a bit coarse. I gave this a one star rating, but suspect it will warrant a higher note with some evolution and bottle ageing. Clear in appearance, this is medium-deep ruby in color. The fragrances rely a bit more on the oak in which this was matured. The fragrances are quite woodsy and cedary and this is quite pleasant. The wine is dry and reasonably well balanced. Full-bodied, the oak comes through on the palate, as well. I gave this one-and-a-half stars. Despite being the oldest wine in the line-up, this doesn't show its age in terms of its color. It's a youthful deep ruby and it's clear. The fragrances show nice oak, but a spice quality and hints of a peppery tone. There's a woodsy and cedary quality on the nose, also. 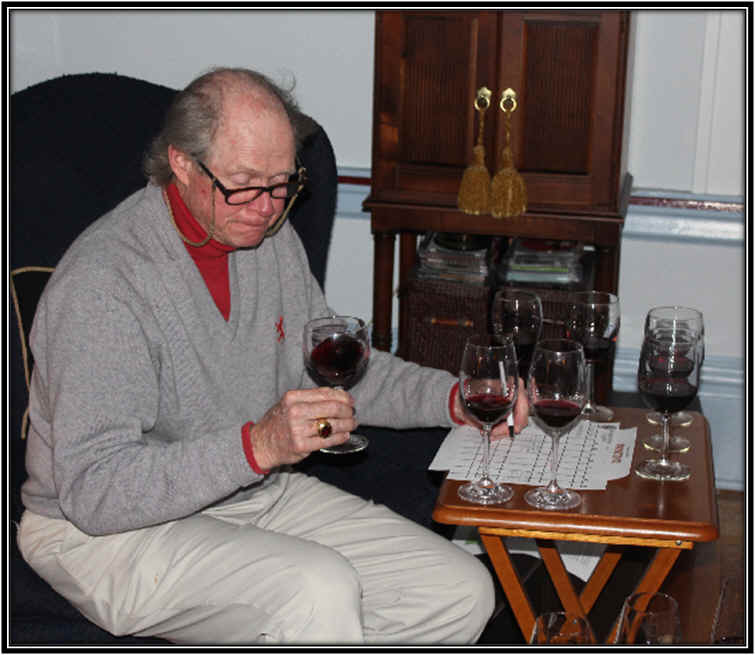 As a result of this tasting, we ordered a case for the store, but it arrived with numerous 'weeping,' leaking bottles. 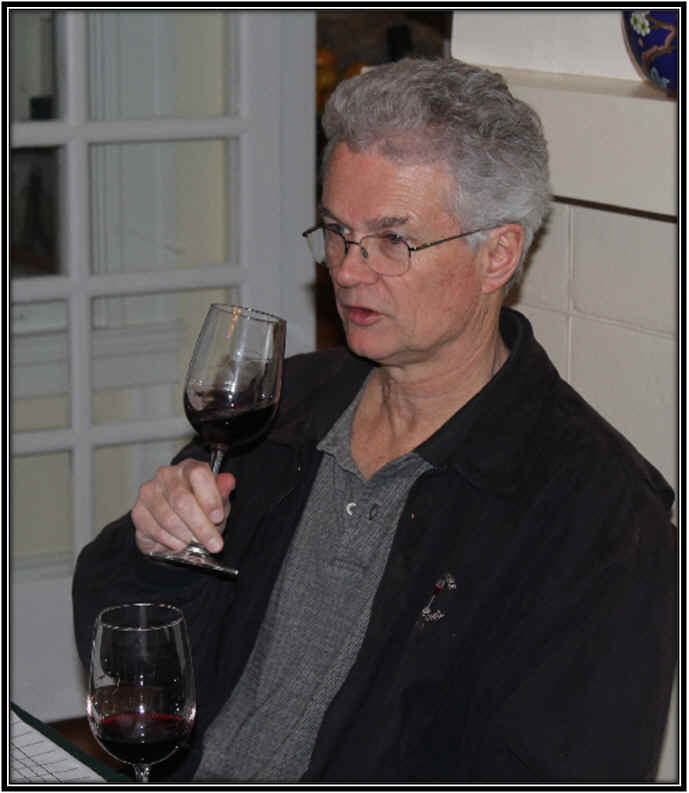 We look forward to tasting the next vintage, then, as this is a most promising wine.